Date: Feb 16 2019, 11 a.m. - 12:30 p.m.
Knit one, Purl two! Knitting Circle is here to stay. 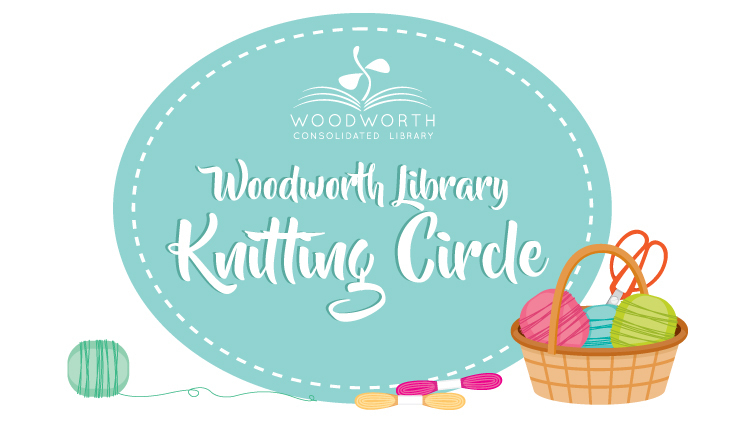 The Knitting Circle meets every Saturday from 11 a.m. to 12:30 p.m. at the Woodworth Consolidated Library. The group includes every skill level, from brand new knitters to experienced, artisan crafters. They also welcome those who love crochet, needle point, and the like to join them. Learn from others, exchange ideas, and make new friends. From 20-something soldiers and spouses, to retirees and grandmothers, the Knitting Circle provides a comforting place to knit your bit.